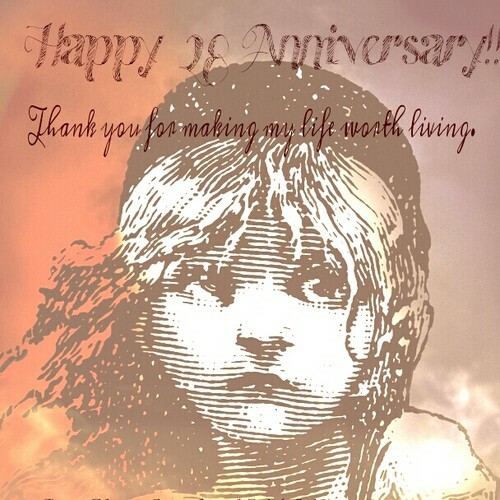 Happy Anniversary Les Miz!!!♥. . Wallpaper and background images in the Les Miserables club tagged: les miserables les misérables. This Les Miserables fan art might contain tanda, poster, teks, and papan tulis.